They abridged the West Coast Conference basketball round-robin this season, sparing the traditional powers two games against the rabble and the attendant strength-of-schedule bullets to the heart of their computer rankings. Just a little social engineering in hopes of a better shake on Selection Sunday. That means Pepperdine gets its only crack at Gonzaga here on Thursday night. So how do you suppose the Waves’ new coach feels about this scheduling innovation? 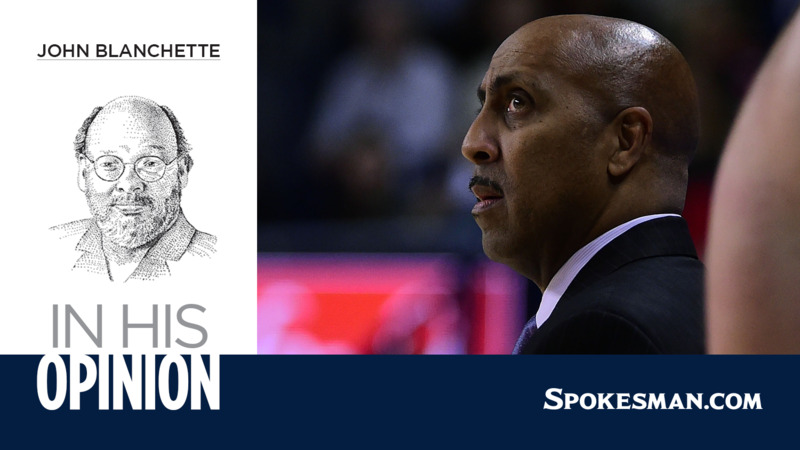 “I’m OK with it,” Lorenzo Romar said. This is bound to amuse irony buffs or anyone who recalls Romar as the man who pulled the plug on the Gonzaga-Washington series more than a decade ago. But, really, amusement is about as far as it should go. He also was a willing party in getting the series restarted in his last season at UW, and his regard for what’s transpired at Gonzaga is pretty public. Makes for a pretty thin villain, don’t you think? And remember: it was Romar who once counseled Dan Dickau that Gonzaga was the place for him. That was back in his days at Saint Louis University – the other school Dickau was eyeballing – and in between his first run at Pepperdine (1997-99) and his 15 years on Montlake, which ended with an odd and yet not unexpected firing even as he had the nation’s No. 1 recruiting class in the barn. Now he’s back at Pepp, after a year’s work-study under Sean Miller at Arizona. Once again, he has to drag the Waves back to relevance. He has assurances from the administration that a new arena to replace tiny Firestone Fieldhouse is in the works, and that there will be money to recruit and retain a staff and for the Waves to buy a few home games in November and December. But it’s a tougher deal now. The Zags weren’t quite yet the Zags his first time around, nor was Saint Mary’s poking its nose into the Top 25 as it has off and on for a decade. Brigham Young wasn’t even in the league, and now there’s San Francisco with 20-win momentum year to year. “But we’ve been in this position before,” he insisted. And 20 years ago, he left the Waves poised to be Gonzaga’s foil come Y2K. At Washington, he got the program three Sweet 16s and to the point where the Huskies were either conference or tournament champs four years running – at which point it all started slipping away. Romar is pretty candid about why. The Huskies aimed higher in recruiting, starting with Aaron Gordon, whose family Romar had known and who had given indications that Washington might be his kind of place. For several years, it seemed. Williams-Goss left for Gonzaga after two seasons, just as another strong class came in – including the seniors starring for the Pac-12-leading Huskies now. But Dejounte Murray and Marquese Chriss bolted for the NBA after just a year. His firing “is still a disappointment” – but that’s all. “If you’d told me, ‘You can have 15 years at your alma mater, a Pac-12 job or …’ I’d have said, ‘I’ll take it,’ before you could get the ‘or’ out,” Romar said. Now a second circle has come full with his return to Pepperdine – where he was more successful dealing with the Zags (3-3) than he was at UW (1-6). But those were Gonzaga’s “infant stages,” as he put it, of becoming a national force. “What they’ve done is phenomenal,” Romar said. “You look back 10 years at they lose a (J.P.) Batista or a (Ronny) Turiaf or a (Kevin) Pangos – and it doesn’t matter who they lost. They’re going to be good the next year – and there have been years they lost a lot of guys and been even better the next year. It’s been impressive to watch. Making this maybe the right year to only play them once. Published: Feb. 20, 2019, 10:56 p.m.